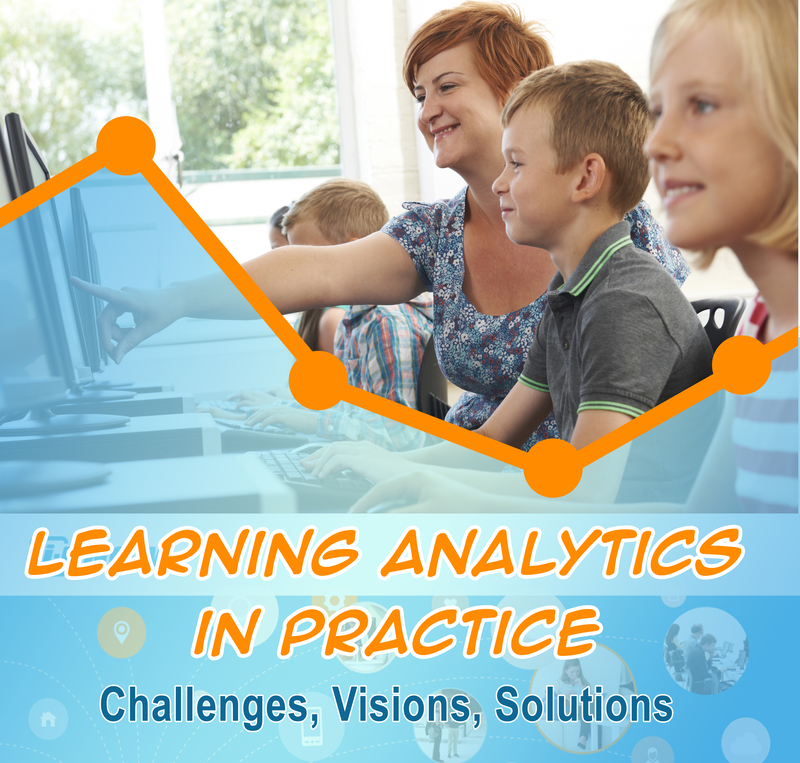 Learning analytics and educational data mining have become mainstream research topics, with Workshop Topic: Educational technologies are advancing rapidly; new solutions and online platforms appear every day. Mobile learning, learning on demand and media rich curricula are recent buzz words describing the “techno-pedagogical” state of the art. And not least, the research and development community is encircled by the hovering spirit of “big data”, learning analytics and educational data mining. In educational practice, there is an increasing conceptual change towards a formative evaluation and support of learners and a strong orientation to competencies and meta-competencies such as the so-called 21st century skills. There is no doubt, that the pace and mode of learning must adapt to ever fast changing societal challenges. slow or restricted. There are schools and regions in Europe where the use of the Internet in school is prohibited or strictly limited based on local policy, public opinion and/or parents’ consent. It is seen as a source of danger (for example due to well-known cases of cyber mobbing, addictive gaming, etc.) where children need protection rather than the development of digital skills. Although the situation at higher education establishments and universities is better, consistent and complete data sets about students’ learning are sparsely available. Of course, there are schools and regions where the opposite is the case and technology is seen as an - still emerging - but already basic literacy skill. The use of (new) technologies is often dependent on the enthusiasm of individual teachers. However, even if teachers are motivated and enthusiastic about using and adapting ICT equipment, they might face obstacles ue to mandatory security and organizational policies. Organizational structures usually do not support the use of massive personal devices like laptops, tablets and mobile phones in the classroom. Ultimately, the use of ICT (specifically with the aim of formative assessment) means collecting data on a large scale. With respect to this data collection and assessment the fear exists that assessment results (including data from the Programme for International Student Assessment, PISA) are used to measure the performance of an individual teacher and are thus opposed by teacher unions. Studies show, that if standard assessments like PISA become important, there is more “training for the test” going on and hence less time spent for individual student development. This makes a significant number of teachers’ sceptic about the benefits of assessments and analyses in general. In conclusion, there is sparsely “big data” and sometimes we do not even find “little data” in educational realities. Even if this perspective is perhaps a little bit larger than life, it nonetheless becomes obviously a long way to widely applied learning analytics with the key goal to make teaching more formatively inspired and more focusing on the individual as opposed to standardized “action - test - outcome” pedagogies. The key question is how to support teachers, trainers, instructors, and lecturers in the real life’s best. The first objective of this workshop is to bring together people working in learning analytics generally, open learner models, and learning dashboards, to raise awareness of projects and approaches across research areas, that are relevant to learning analytics for learners. The second objective of this workshop is to initiate a state of the art review on learning analytics for learners for the Journal of Learning Analytics, to be co-authored with key participants at the workshop. This will aim to cover the themes in the first objective, but may be adapted to incorporate expertise and interests of workshop participants. The third objective of the workshop is to identify the visions and challenges for applying recent technologies in educational practice – today and tomorrow. Ultimately, the outcomes of the workshop shall establish a practical guide for educators making the most of the digital information they have or can get about their students’ learning. Learning Analytics research - design - development - distribution - application. Dissemination: We will seek to prepare a high quality journal publication from the key authors and enthusiastic participants. The papers of the workshop will be made available as CEUR proceedings.